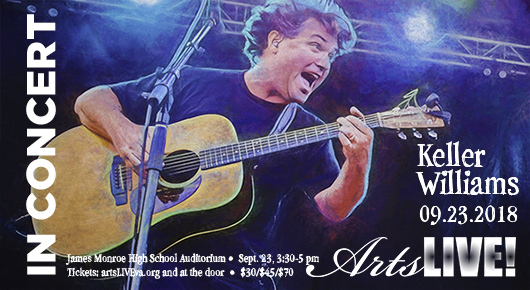 Sept. 23: Keller Williams – ArtsLIVE! A solo acoustic performance with no looping. 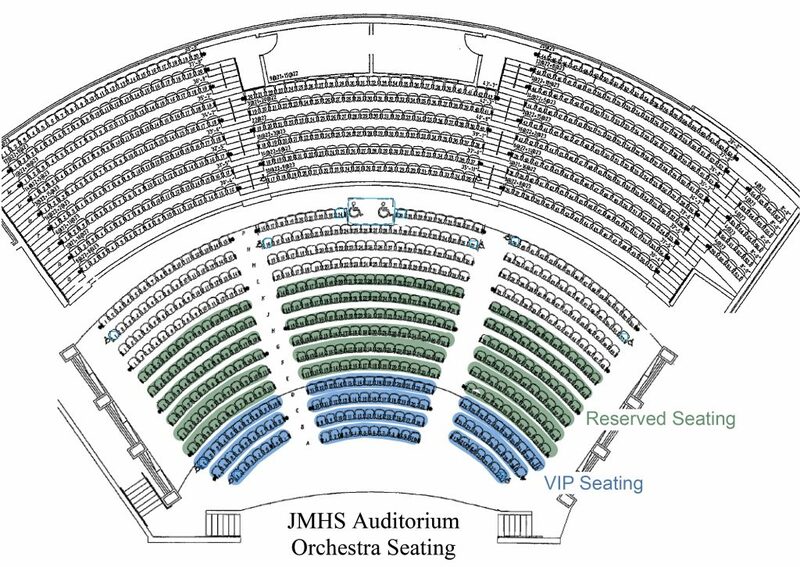 * VIP ticket holders are entitled to front row(s) seating, access to the hospitality room prior to the concert from 2:30 until 3:30 pm, and entry to a meet-and-greet reception with Keller Williams from 5 to 7 pm in The Lobby of the Mary Washington Healthcare Building (across the street from James Monroe High School) at 2300 Fall Hill Avenue, Fredericksburg, VA 22401. Access to the pre-concert hospitality room and post-concert reception includes two free adult beverages per person and light refreshments. Beer and wine are available for one hour before the show in the Hospitality Suite across the street in 2300 Fall Hill Ave. Beverages are complimentary for VIP ticket holders, but may be purchased by Reserved Seating and General Admission ticket holders. Alcoholic beverages must be consumed on premises, and may not be taken out, and may not be consumed in the auditorium. The meet and greet with Keller at the Hospitality Suite after the show is limited to VIP ticket holders. Tickets purchased before September 14 will be mailed.  Tickets purchased after September 14, may be picked up at the ArtsLIVE! office or held at will call at the door. Online ticket sales close September 22.